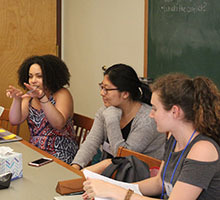 The Summer Workshop for Young Writers is an opportunity for rising high school juniors and seniors to develop their creative writing skills across genres and to collaborate with creative and thoughtful peers and faculty. The Summer Workshop will be based on the campus of the University of Pennsylvania in Philadelphia. 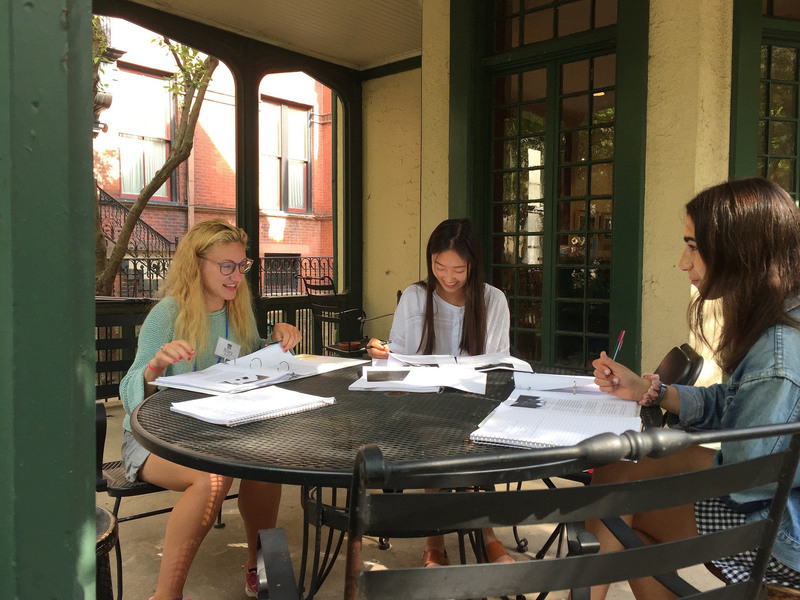 Due to a Summer 2018 renovation project at the Kelly Writers House, we will be using alternative spaces on Penn’s campus for the Summer Workshop, but the content and community will remain the same as before. Our program's director and lead instructor is Jamie-Lee Josselyn, Penn's Creative Writing Program's Associate Director for Recruitment, who holds a B.A. from the University of Pennsylvania and an M.F.A. from Bennington College. 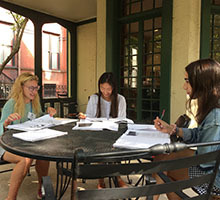 Daily craft sessions will be led by members of our Creative Writing Program's faculty and by established writers who are close to the Kelly Writers House community. 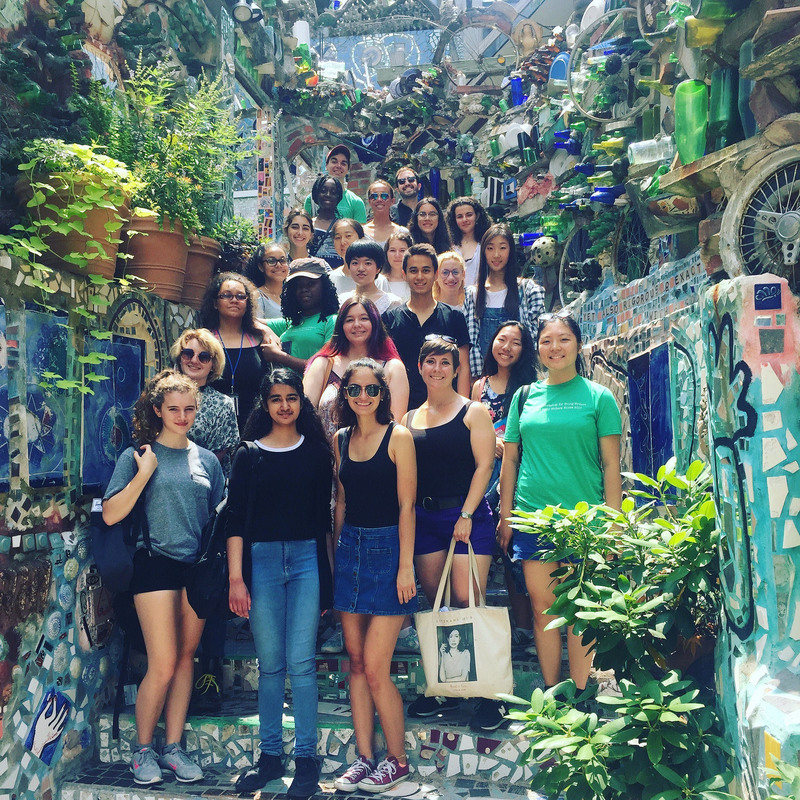 In addition to the Kelly Writers House staff who will support the needs of the Summer Workshop and its participants, two Resident Advisors will live with the students in one of Penn's College Houses and will chaperone extracurricular trips and activities. The Resident Advisors will also be involved in the curriculum of the workshop and will serve as mentors to the students. Additionally, the Resident Advisors will make sure that students are in their rooms by the 11 PM curfew and are up for breakfast and the start of the day at 8:30 AM. Workshop participants will live in an air-conditioned College House in single-occupancy rooms in single-gendered dormitory suites. Our Resident Advisors and program staff will have received training on the best practices for providing supportive and careful supervision. Students, Resident Advisors, and staff will attend daily meetings led by the Program Director to ensure that the entire Summer Workshop community is aware of expectations and other announcements. 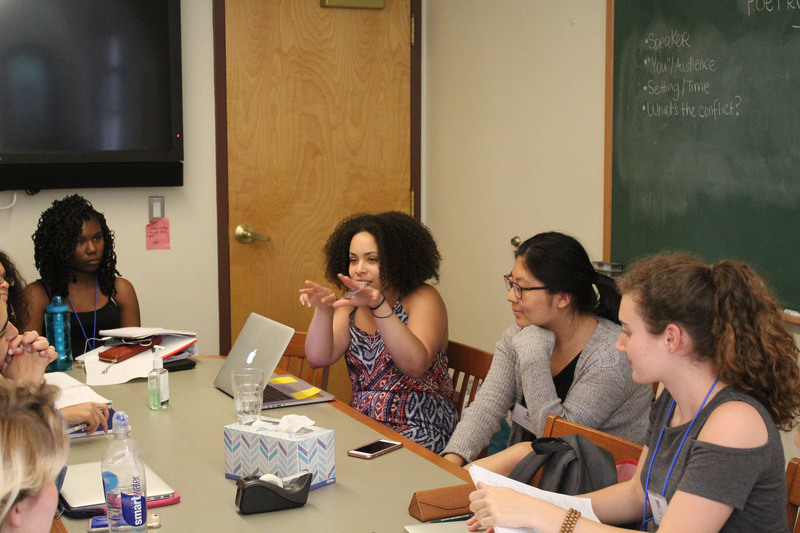 The cost of the Summer Workshop for Young Writers at the Kelly Writers House is $2750, which includes all materials, activity fees, room and board. Once a student receives notification of acceptance, which will be issued by email during the first week of April, a non-refundable deposit will be due May 1. Students receiving financial assistance will be informed of alternative deposit requirements which will be disclosed in their acceptance. We urge students not to cancel enrollment unless there are truly extreme circumstances preventing their participation in the Summer Workshop. If a student must cancel enrollment before May 1, we may be able to refund the student’s deposit and additional payments. After May 1, we typically cannot refund deposits or additional payments. Additional dates and deadlines will be provided as they become available. If any of these dates change, Summer Workshop staff will notify applicants/participants and parents as soon as possible. February 1, 2019: Application for 2019 Summer Workshop goes live. 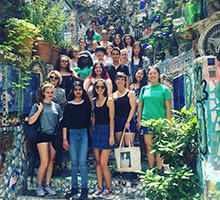 March 3, 2019: Applications for 2019 Summer Workshop are due. Last week of March 2019: Applicants will receive email notification regarding admissions decision. May 1, 2019: Enrollment and deposit are due for accepted students. After this date, we typically cannot refund deposits or payments. First week of June 2019: Waitlisted students hear about acceptance status (if they have not already heard). July 7, 2019: Summer Workshop begins. July 17, 2019: Summer Workshop ends. If you have questions or concerns, please call us at 215-573-6545 or email summer-writing-workshop@writing.upenn.edu. We also encourage you to review our Frequently Asked Questions page for additional information.